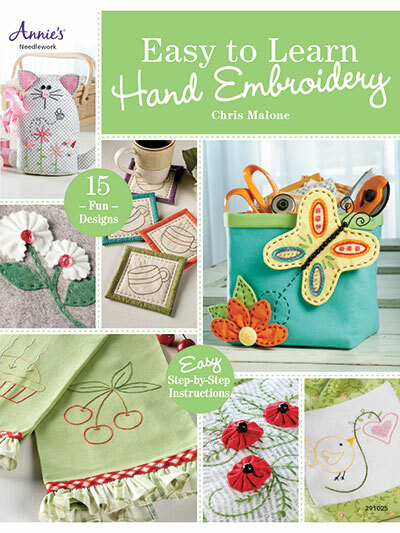 Follow designer and teacher Chris Malone as she teaches you just how easy it is to learn the art of hand embroidery. Each project will teach you a new stitch to build on the previously learned stitches. Put your new-found skills to the test with one of the 15 fun and unique designs that are also included. 48 all-color pgs.